I may have slipped up somewhere–being somewhat of a promiscuous reader. 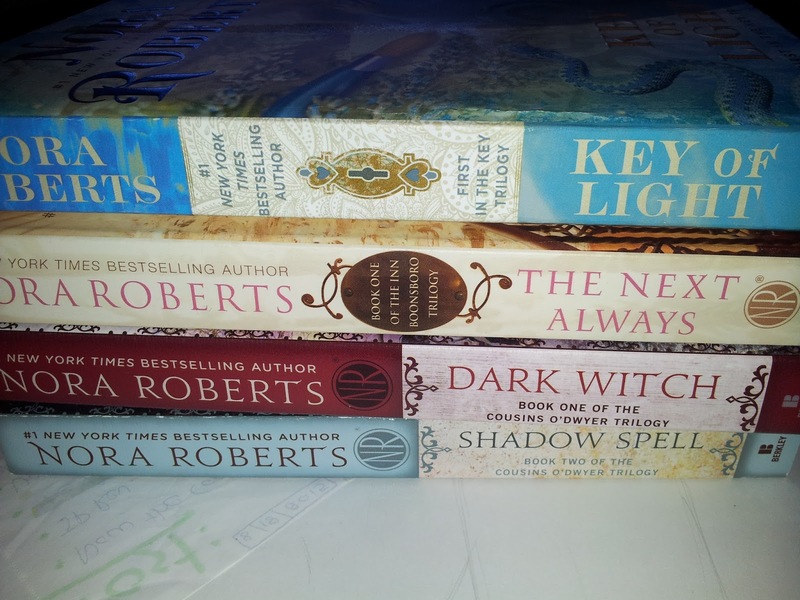 However, recently I’ve been buying Nora Roberts novels. Part of this sudden burst of the Roberts stems from something as simple as the aesthetics of these new/re-released trade paperbacks I'm going to show you. Call it marking, call it subliminal messages; either way they’re beautiful books with their wispy covers, deckled-edges, and French flaps. They seem to demand for my cloudy belief in romance to try and try again not to float completely away. Though Roberts hardly–I deeply stress "hardly"–write the kind of romance I can identify with. I won't get into the differences and distinctions. Otherwise, I'll lose focus of this post by moving into hotter topics. Now it’s no question or wonder how I’m obsessed with Roberts’ J. D. Robb brand; the In Death series means the world to me if you don't know by now. Yet, at one point during my trek through that 40+ book series, I decided I didn’t care for her Roberts writings. You see, in the past I tried the first book in her Bride Quartet, Sign of Seven Trilogy, and Circle Trilogy series. And neither of those three panned out beyond the first book. In a matter-of-fact, I DNF’ed book one in the Bride Quartet series 50 pages in (the character had zero personality worth sticking around with). At one point I also decided to pass on Roberts' romance thrillers, after a bored-out-of-my-mind tryst with Black Hills back in 2009. So I suppose there are many variables asking me to attempt to gorge myself on Roberts. One seems to be her aesthetically pleasing books. Second, a need for a little romantic reading. Third, familiarity/loyalty to Robb. Finally, a general compulsion to provide innumerable chances for her to win me over. After losing her husband and returning to her hometown, Clare Brewster soon settles into her life as the mother of three young sons while running the town's bookstore. Though busy and with little time for romance, Clare is drawn across the street by Beckett's transformation of the old inn, wanting to take a closer look...at both the building and the man behind it." "When Malory Price is issued with the above invitation she is naturally suspicious, especially as Warrior's Peak is a local mansion straight out of a Hollywood movie. But with her overdraft at crisis limit and on the verge of losing her job at a local art gallery, she has little to lose by attending the event. Only Malory is about to get more than she bargained for. 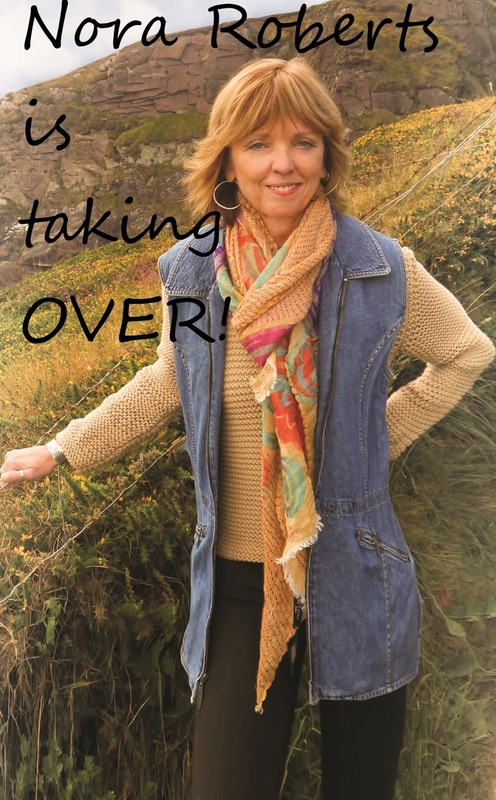 At Warrior's Peak she finds that she and two other women are the only guests of their mysterious hosts. They are told an amazing story of magic, gods and goddesses; and of three demi-goddesses who have been cast into an eternal sleep, their mortal souls placed under lock and key. And in every generation, three women are born who alone have the power to free them - if they are prepared to accept the challenge." "With indifferent parents, Iona Sheehan grew up craving devotion and acceptance. From her maternal grandmother, she learned where to find both: a land of lush forests, dazzling lakes, and centuries-old legends. When Iona lands a job at the local stables, she meets the owner, Boyle McGrath. Cowboy, pirate, wild tribal horseman, he’s three of her biggest fantasy weaknesses all in one big, bold package." Meara Quinn is Branna’s best friend, a sister in all but blood. Her and Connor’s paths cross almost daily, as Connor takes tourists on hawk walks and Meara guides them on horseback across the lush countryside. She has the eyes of a gypsy and the body of a goddess…things Connor has always taken for granted—until his brush with death propels them into a quick, hot tangle." So that's what I got so far. Personally, I can't wait to see how these books go. And believe me when I say I'll be sure to post about my experience (my thoughts on Key of Light will be up soon). Have you read any of these books? If so, give me a ballpark view into what I'm getting myself in to. Good. Bad. Indifferent. I would like to hear it all! Especially from the NR super readers. 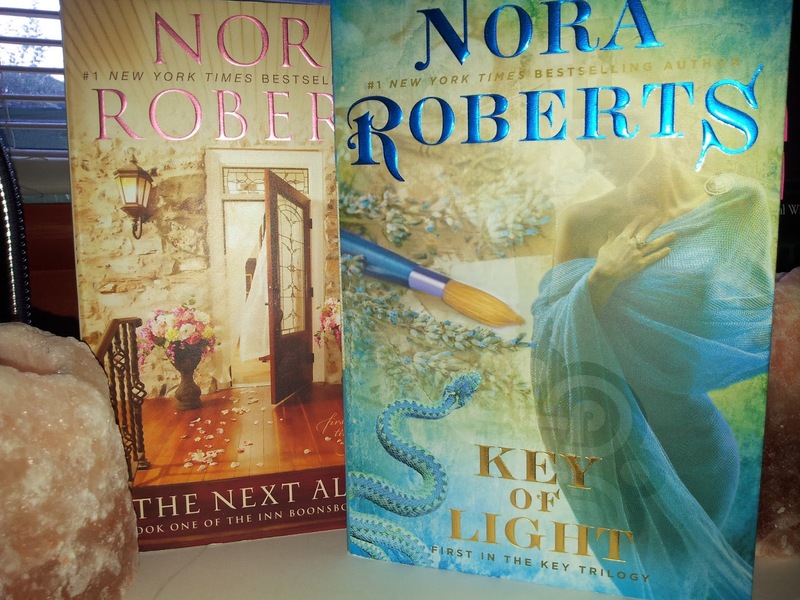 Or do you have any Nora Roberts recommendations? 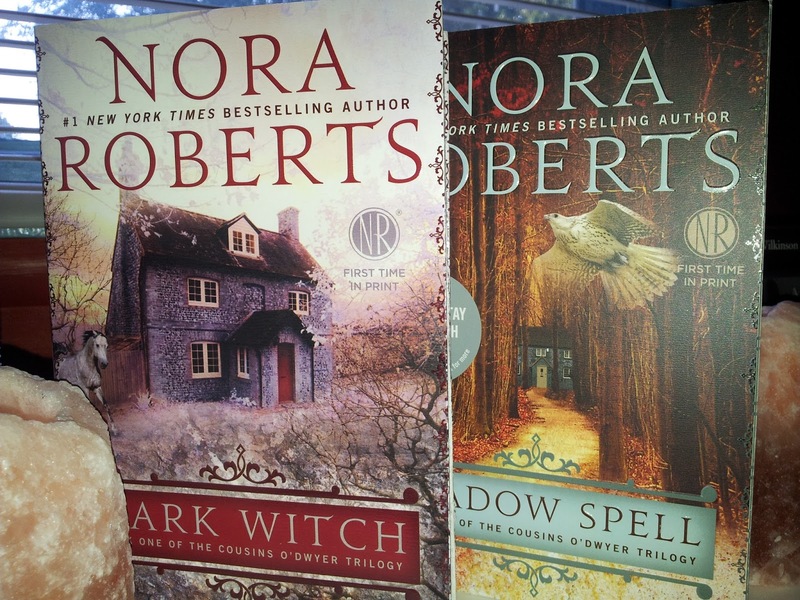 Actually, what's your first and favorite Nora Roberts book and why?